Happy Halloween! Is your pumpkin carved and ready to light? Have you got stashes of sweets to give the local kids that come trick or treating? Do you ever say ‘trick’? 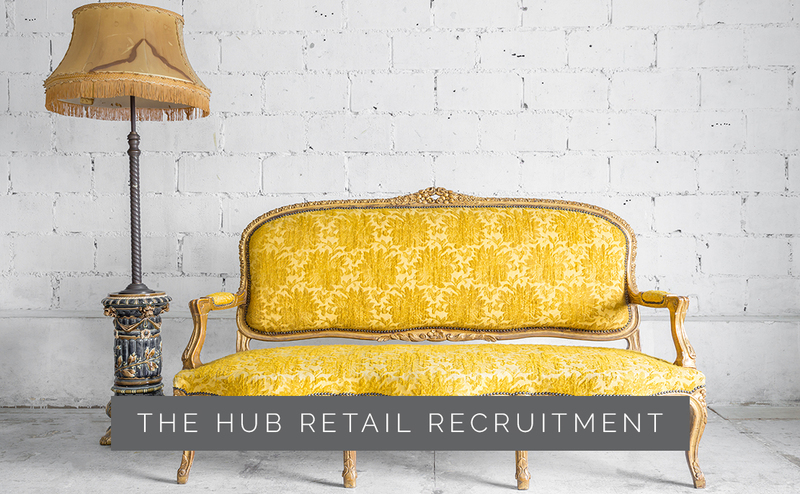 Here at The Hub Retail Recruitment, our answers are yes to everything but the last question – we play it safe just on this one occasion! We hope you’ve had a good October – we’ve gathered a number of stories that have caught our attention. Our tempting headlines are: Who’s for sale? ; What a contrary lot we consumers are; Who’s top of the class? ; and Some employment news. Who’s for sale? If you’re looking to invest significant amounts of money, how do you fancy snapping up Waterstones or Jigsaw? Apparently both are up for sale. Waterstones – whose Russian oligarch owner needs to plug some financial gaps back at home – looks a good bet. It was bought in 2011 for £53m and today is worth around £250m. It’s expecting to report a second year of profitability – you might remember the bookstore was moments away from insolvency when it was rescued and turned around. Jigsaw is a similar picture. It’s a strong brand and doing well, with profits up by 11% and sales by 8%. What we like is that the company paid out nearly £500k to its staff as part of a new incentive scheme – it’s always good when a company wants to share its success with those that have made it happen. So here’s to both Waterstones and Jigsaw – we hope you find great new investors who will take your company to even further success. What a contrary lot we consumers are: Or are we? The economic messages are mixed: on the one hand, the consumer confidence index is down slightly from -9 to -10, and let’s not forget that it dipped sharply in the wake of the referendum vote and then rallied. But over the last few months it’s been slipping. And it’s probably that our confidence in the economy is a little shaky – with inflation now at 3% because of the weak pound. But then again, employment is at it’s highest since the ’70s – although as you’ll see from the second article, there are some experts who think this is being under-reported. But perhaps the threat – now an expectation – that the Bank of England is going to raise the base rate, is adding to our concerns. Why is the Bank likely to do this? Apparently, such high employment could push up wage increases – although there’s little evidence to support this hypothesis, especially as the majority of the newly created jobs are low paid ones – pensioners having to do menial jobs to supplement their pensions, immigrants who can only get low paid jobs. And then there’s the FTSE in this mixed picture – it’s at its highest in history and that’s a good indicator that the markets are strong. So, it’s a ‘on the one hand, on the other hand’ economic situation – it’s certainly been a very strange year economically – let’s hope our Christmas spending brings some cheer to the emerging picture. Who’s top of the class? There’s certainly no mixed picture for some of our retailers, who are bucking the trend and doing well. Who might they be I hear you cry? Have a guess. No? OK, our top 3 are…All Saints, Selfridges, and Hobbs. All Saints sales jumped by 20%, and is doing very strongly internationally – although because of that expansion its profits aren’t looking as healthy, but then you’ve got to speculate to accumulate; Selfridges just keeps going from strength to strength, reporting increased sales of 18% – and it’s certainly been investing in its stores, not just the flagship on Oxford Street, but in Birmingham and Manchester too. Hobbs has had a difficult time in recent years, and two years ago started a turnaround process to make it more appealing – and with gross profits and revenues both seeing nearly 10% increases, things are looking good. Well done to all 3 – there are more such examples out there on the High Street, so it’s not all bad news. Some employment news: The first week of October was Mental Health Week, with the emphasis very much on improving mental health in the workplace. One very salient case has just been heard at Leeds Employment Tribunal, where an employee of Her Majesty’s Revenue & Customs (HMRC) has successfully won a case with an award of £75,000. This is a case about someone who was suffering from mental health problems who, because of what might seem to many a small change in their job, the moving of their desk from one floor to another, couldn’t cope with the change and it adversely affected their health. Dismissed by HMRC for poor attendance caused by the change, the Employment Tribunal found for the employee because it judged that HMRC had not made reasonable adjustments. HMRC may of course appeal the decision, but it is a case that employers should look at carefully when handling similar situations. The government expects to give grieving parents whose child under the age of 18 has died, two weeks paid leave. It is hard to imagine that employers wouldn’t do this as a matter of course as anyone would want to support employees who were dealing with such devastating loss. But perhaps not if the government is having to make it compulsory. Well, that’s our round up for October. We hope you found something of interest. And now that the clocks have changed, and we’re fully into winter, no doubt our stories next month will have a Christmas feel to them – including the retailers Christmas adverts which nowadays are hotly anticipated and extremely competitive – who will win the best ad for 2017 we wonder. See you back here on 30 November when the answer might be emerging. Until then, have a good November – and beware those ghouls tonight!